In her latest work, H. Henrietta Stockel examines the collision of the ethnocentric Spanish missionaries and the Chiricahua Apaches, including the resulting identity theft through Christian baptism, and the even more destructive creation of a local slave trade. 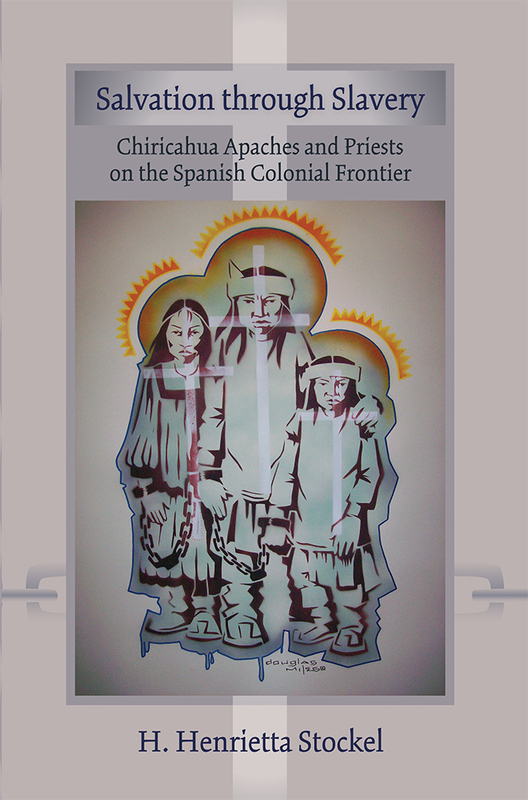 The new information provided in this study offers a sample of the total unknown number of baptized Chiricahua men, women, and children who were sold into slavery by Jesuits and Franciscans. Stockel provides the identity of the priests as well as the names of the purchasers, often identified as "Godfather." Stockel also explores Jesuit and Franciscan attempts to maintain their missions on New Spain's northern frontier during the seventeenth and eighteenth centuries. She focuses on how international political and economic forces shaped the determination of the priests to mold the Apaches into Christians and tax-paying citizens of the Empire. Diseases, warfare, interpersonal relations, and an overwhelming number of surrendered Chiricahuas at the missions, along with reduced supplies from Mexico City, forced the missionaries to use every means to continue their efforts at conversion, including deporting the Apaches to Cuba and selling others to Christian families on the colonial frontier. H. Henrietta Stockel is an independent scholar specializing in Chiricahua Apache history and culture. Her writings also include Women of the Apache Nation. She lives in Sierra Vista, Arizona.